Confession: I haven’t attended a single yoga class in weeks, nor have I been practicing at home. I’ve been extremely busy with work and preoccupied with personal stuff. It’s no excuse, I know, and I really must resume soon, and by “soon” I mean tomorrow! I’m not a longtime practitioner of yoga. In fact, I only started practicing at the start of the year. This is why a mere couple of weeks off yoga can really put a toll on my overall wellbeing, and can easily bring me back to the pre-yoga version of me! Disorganized. Man, you should see my desk right now. My colorfully decorated desk has been messed up by piles of paper, and my cute Sharpies are all over the place. It’s not only my desk that’s disorganized—I’ve also been feeling like a complete mess inside. Eating too much of the bad stuff. When I started doing yoga, I found myself feeling repulsed by my all-time favorite potato chips. I felt like I was eating poison after an hour and a half of working hard on the mat to detoxify my mind and body! I read somewhere that when you stop doing yoga, you start caring less about what (and how much) you eat. True enough, it has already started to happen to me. Agitated. Work stress and personal issues get the better of me and have been making me feel uneasy and a bit too emotional. No fun at all. Dull. A yoga buddy once shared with me that a month without yoga has made her feel bored and unexcited about her other passions and activities. I do not want to reach that point, but yes, I’ve been feeling dry and dull lately. Unsolicited advice, especially to those who have just started exploring yoga: Your so-called excuses for skipping yoga (busy-ness with work and personal matters) should in fact be your excuses to do yoga. Never ever let a week pass without it. 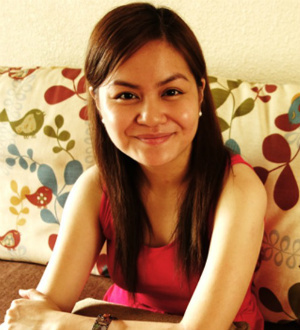 by Carmel David - Carmel is a brand manager of a Philippine pharma company. She tries to balance drugs (as in pharma drugs, her occupation) and other loves (blogging, yoga, art, TV shows and travel). She believes in coloring life’s journey through discoveries, love, laughter, and lifelong learning. You may visit her blog and follow her on Instagram.